ETS-VII (Engineering Test Satellite, "Kiku 7") was launched aboard the H-2 No. 6 rocket from Tanegashima Space Center in November 1997. ETS-VII itself comprises two satellites: "Orihime" and "Hikoboshi". "Orihime" is a target satellite weighing approximately 400 kilograms. It is placed in a fixed circular orbit at an altitude of roughly 550 kilometers. "Hikoboshi" is a chaser satellite, weighing some 2.5 tons. It moves in a variable orbit to rendezvous and dock with "Orihime". "Hikoboshi" is equipped with a six-jointed, three-clawed robot arm two meters long. Following launch of the "Orihime - Hikoboshi" satellite pair, a malfunction in the spacecraft attitude control system occurred, as well as a drop in output of the high gain antenna communication link necessary for satellite remote control. 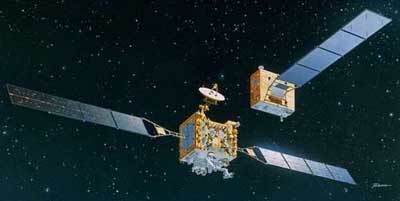 Nevertheless, the first rendezvous and docking experiment was successfully accomplished on July 7, 1998. Lessons learned from the automatic rendezvous and docking experiment entailing two unmanned satellites, and the space robotics testing involving the robot arm, are expected to contribute greatly to future space development efforts. ETS 7 reentered on 13 November 2015.